Many people may not know this, but our watershed constantly faces new and proposed natural gas pipeline projects. From the Atlantic Sunrise Pipeline in western Pennsylvania to the Atlantic Coast Pipeline in West Virginia, activists and environmentalists fight an uphill battle to protect the Chesapeake watershed from potential damage these projects might cause. 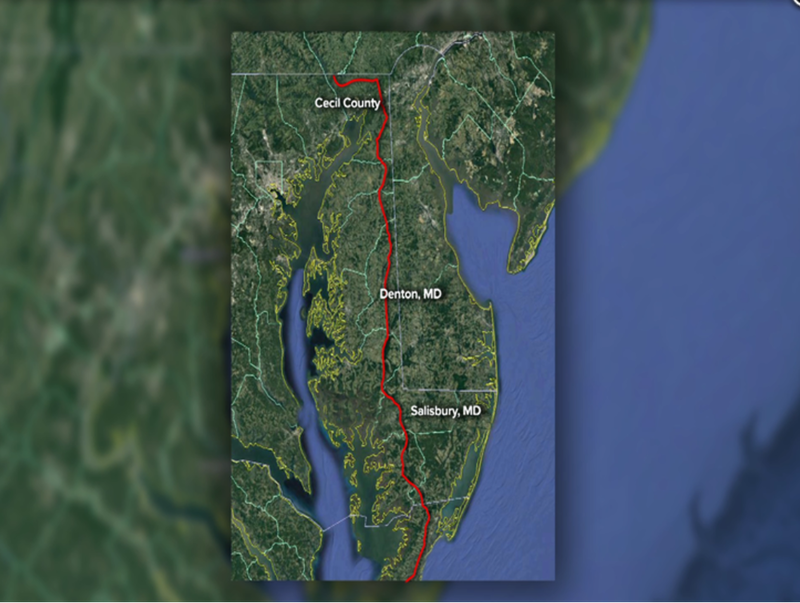 Earlier this year, the Delmarva Pipeline Company presented plans to build an almost 200 mile long natural gas pipeline that would run from Cecil County, Maryland to Accomac Virginia. While this pipeline has received minor attention so far, it is important that we understand potential risks that come along with transporting natural gas in the stretch of land between the Chesapeake Bay and Atlantic Ocean – two priceless bodies of water. The natural gas for the Delmarva Pipeline will be sourced from the Marcellus Shale, a gas producing rock formation in the north east of the United States. The proposed pipeline will carry the gas underground along a path that starts in the northern border of Maryland and Pennsylvania, travel straight through Maryland’s Eastern Shore, and eventually stop in the northern part of Virginia’s coastline. This stretch of land is a beautiful and historic part of early America, which many of the families who live on Maryland’s Eastern Shore have called home for hundreds of years. This pipeline, will cross through farms, rivers, and forests. Like all pipelines, it runs the risk of explosions, leaks, contaminated water, and of course damages to private property should an explosion or leak reach a home. With any large scale project happening close to the water, we run the risk of sediments reaching the Chesapeake Bay (see this article from Chesapeake Bay Foundation for more on the general risks of pipelines). Leaks are also a real issue with pipelines, and an underground pipeline like this could have a huge effect on ground water should a leak occur – not to mention any explosive situations that could rattle the ground. For more specific threats to the residents around this proposed pipeline, check out the website for No Eastern Shore Pipeline. Stay informed on the progress of the Delmarva Pipeline and reach out to your local environmental groups to see what you can do – we all have a responsibility to fight for the protection of clean, healthy water. You can impact the future of our Bay watershed for the better. All it takes, is action. At this year’s Choose Clean Water Conference, we are putting on a special workshop to highlight the work of our members in addressing proposed natural gas pipelines in the Chesapeake Bay watershed. While pipelines may seem unstoppable, the workshop speakers will talk about how to get involved in the pipeline fight, activate your community, and use specific strategies and tactics in your campaign. Our six activists will discuss different approaches taken during the fight against multiple pipelines – analyzing what works and what doesn’t, so that you can walk away ready to make a real impact. Brent Walls, representing Upper Potomac Riverkeeper. 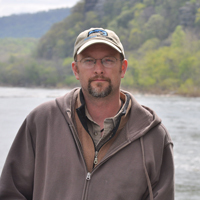 Brent is responsible for defending the public trust of the rivers and streams in the Upper Potomac, and is an invaluable part of pipeline defense, thanks to his expertise in environmental science and GIS. His work has been made it possible for Potomac Riverkeeper to develop water trail maps of the upper Potomac. Kate Wofford is coming from Shenandoah Valley Network, a group that maintains healthy rural communities while protecting and restoring natural resources in the Shenandoah region. 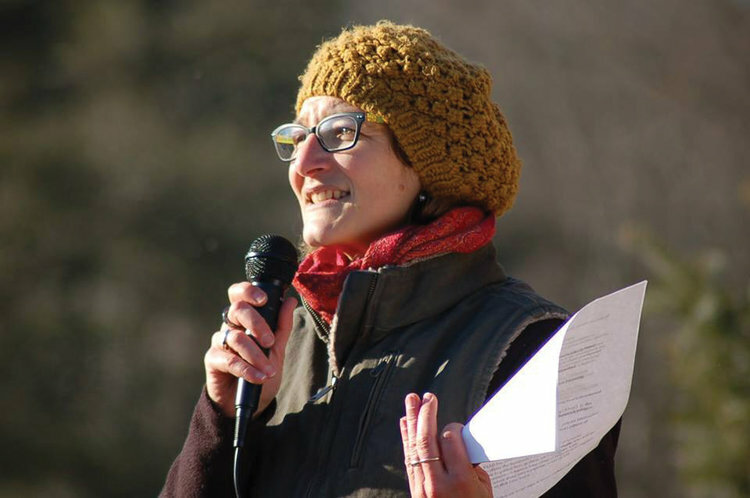 Kate has been a water resource defender for more than 15 years, bringing to our conference experience from multiple states and issues – including the Atlantic Coast Pipeline. Eve Miari is speaking for the Clean Air Council, inspired to fight against the Mariner East Pipeline project because, as a mother, she understood the risks posed by building a pipeline near an elementary school. Eve’s work focuses in on building relationships and helping people to understand how pipelines impact the lives of those around them. We are excited to have Malinda Harnish Clatterbuck from Lancaster Against Pipelines coming to speak at our session as well. Malinda’s most recent pipeline fight is against the Atlantic Sunrise Pipeline in Western Pennsylvania, a battle that has been continuous for more than three years now. Her passion for grassroots activism and engaging new communities is invaluable for us as clean water activists. She is joined by another, equally passionate Lancaster Against Pipeline’s staff member, Josh Yoder. April Pierson-Keating comes to us from Mountain Lakes Preservation Alliance, a group pushing back against the Mountain Valley Pipeline and the Atlantic Coast Pipeline in West Virginia. April writes passionate and informative blogs to educate the public on the current status of these pipelines, as well as fighting for the female voice in environmental issues. If you have not signed up for our conference, we suggest you do so as soon as possible! It would be a shame to miss out on the wonderful nuggets of knowledge provided by each of these speakers. Along with this pipeline session, our conference also includes sessions on healthy soils, engaging the faith community, equity – there is something for every kind of environmental activist! We look forward to seeing you in Lancaster, Pennsylvania from May 22 -23. In 2016, the Virginia Office of Environmental Health and Safety recommended a thorough survey of all private water wells and springs, as well as septic systems, within 1,000 feet of a pipeline—at a minimum—before construction starts. Water found beneath the surface is known as groundwater, or aquifers, and such a survey is essential to protect the aquifers that feed these wells and springs, and the people who depend on them for drinking, bathing, cooking, and farming. This hasn't happened. Governor Northam can and should change that, and make sure the threats to groundwater from the proposed Atlantic Coast and Mountain Valley pipelines are carefully examined. The Army Corps of Engineers conducted a Clean Water Act permit review, but that doesn't consider potential harm to groundwater. They only looked at surface waters, like streams and rivers. The state of Virginia issued water quality certifications for upland activities associated with MVP and ACP. While the state required a survey of drinking water wells and springs within 1,000 feet of the pipelines, it only did so for “areas known to have karst topography.” This requirement only applies to a small portion of the pipeline routes in Virginia: about 10 percent of the ACP route and 31 percent of the MVP route. Anywhere outside of karst terrain, for the vast majority of the pipeline routes in Virginia, the FERC certificates approving these pipelines only require identification of private water wells and springs within 150 feet of the pipeline workspace. This places the sources of drinking water for hundreds of families across Virginia at risk. For example, the Four Corners Farm in Rocky Mount is a multi-generational farm that raises pigs, chickens, turkey and cattle. The farm has a water well approximately 800 feet from the proposed MVP route that would not be surveyed or tested. To read more, visit the NRDC website for the full article. Disclaimer: The information below does not reflect a formal position of the Choose Clean Water Coalition, but the position of some of its members. A natural gas pipeline is proposed to flow under the Potomac River. Read this blog to learn more about the potential negative impacts of this pipeline and how our members are working together to stop it through the No Potomac Pipeline Campaign. The Potomac River is a source of water for six million people. TransCanada spilled nearly 17,000 gallons of oil onto rural land last year, and had two other leaking incidents in 2011. Many of our members believe that placing trust in TransCanada to safely build and maintain an oil pipeline under the Potomac would be putting clean drinking water for millions at risk. Karst topography is a sensitive geology characterized by underground drainage systems with sinkholes and caves. Easily susceptible to the transmission of pollutants through connected underground aquifers, Karst allows for the easy migration of pollutants into aquifers that run into the Potomac River. Hydraulic directional drilling under streams in this geology may create pathways for water to drain down and dissolve the limestone around the pining. This drilling may create sinkholes that would put the pipeline at risk, and can cause subterranean ruptures and even explosions. The #NoPotomacPipeline campaign, initiated by the Potomac Riverkeeper Network, is in full swing with the support of a few other organizations. Many of the same members of the "Don't Frack In Maryland" campaign — who saw victory in their efforts to ban fracking in Maryland though legislation and garnering support from Gov. Larry Hogan — are fighting to stop the construction of this pipeline. Once again, Gov. Hogan holds great power in this situation, as he has the authority to approve or reject the Section 401 Water Quality Certification for this project under the Clean Water Act. A few weeks ago, hundreds of Marylanders and West Virginians united to demonstrate their resistance to the pipeline. Standing hand in hand on the James Rumsey Bridge, the "Hands Across the Potomac" demonstration was a reassuring display of unity against faceless corporations. We hope Hogan saw this demonstration and heard the voices of those who will be directly affected. If you want to join the #NoPotomacPipeline movement, sign up for our partners' action alerts. The Chesapeake Climate Action Network and Waterkeepers Chesapeake are two organizations that are providing great resources to get dissenters of the pipeline involved. On Monday, November 8th, those organizations will be hosting a meeting at the Washington County Free Library to discuss the pipeline and volunteering opportunities. Those who are interested can RSVP to the free event, which will take place from 6:30pm-8pm. Joe DeWitt is a communications intern with the Choose Clean Water Coalition. This blog was updated on May 9, 2018 by Chanté Coleman , director, Choose Clean Water Coalition. In 2016, behind the scenes, without public input, a West Virginia gas company called Mountaineer Gas quietly laid the groundwork for a fracked gas pipeline that would threaten the Potomac River and the National Park Service’s C&O Canal, one of the most visited national parks. Residents in Morgan County, WV became aware of the pipeline proposal only after landmen requested access to properties for routing of the pipeline. Mountaineer Gas began bullying residents with ultimatums and eminent domain after receiving conditional approval from the WV Public Service Commission to route their gas line. The route proposed would cross five streams, all of which is in Karst geology. Karst geology is limestone that can rapidly dissolve and form pathways between the surface and groundwater, including streams. Pipelines do leak and in Karst geology pose a risk to private wells, cause stream contamination and stream flow loss, and develop sinkholes that can threaten the integrity of the pipeline. The proposal Mountaineer Gas submitted to WV Public Service Commission is for construction of a multi-million dollar pipeline from an existing line in the Martinsburg area west to Berkeley Springs and east to Jefferson County. This pipeline is contingent on the approval and construction of a TransCanada gas pipeline from Pennsylvania. The TransCanada gas pipeline would route south from Bedford, PA to Hancock, MD, under the C&O Canal and Potomac River, finally ending in the Berkeley Springs, WV area. Columbia Gas is currently communicating with the National Park Service to be granted a right-of-way access to drill under Park property. There is a real risk of this combined pipeline project to the Potomac River, the drinking water source for over 6 million people, and a risk to several high quality West Virginia streams and to private property in both Maryland and West Virginia. Mountaineer Gas works exclusively in West Virginia and therefore does not have federal oversight of this pipeline proposal. Once the route is secured, the pipeline has to receive a 401 state certification permit, a 404 ACOE permit, and state regulatory permits and authorizations. Mountaineer Gas has recently received authorization to proceed after an appeal of their application modification. Because the modification was perceived to be minor, public notice of the process was not initiated. However, Mountaineer Gas describes the pipeline as a distribution line mostly catering to two large companies. The distribution line would be a “redundant” line, essentially, a back-up gas line. This pipeline is contingent on the completion of the TransCanada gas line, which has yet to submit an application to the Federal Energy Regulatory Commission (FERC). The Federal Energy Regulatory Commission (FERC) has a history of downplaying potential environmental damage and property rights as they analyze natural gas pipeline development projects. The TransCanada pipeline will fall under FERC jurisdiction since it crosses state lines. The project will involve numerous stream crossings, cross land that is geologically vulnerable to spills and unnecessarily threaten the source of drinking water for millions of people. On October 4th, environmental groups, including Potomac Riverkeeper Network, filed a motion to intervene in the Mountaineer Gas appeal. Our intention was to bring the potential of environmental damage into the case. In addition, the community gathered and submitted over 60 letters of protest to the proposed gas line. On October 23rd, over 50 people gathered in Hancock to protest the pipeline.